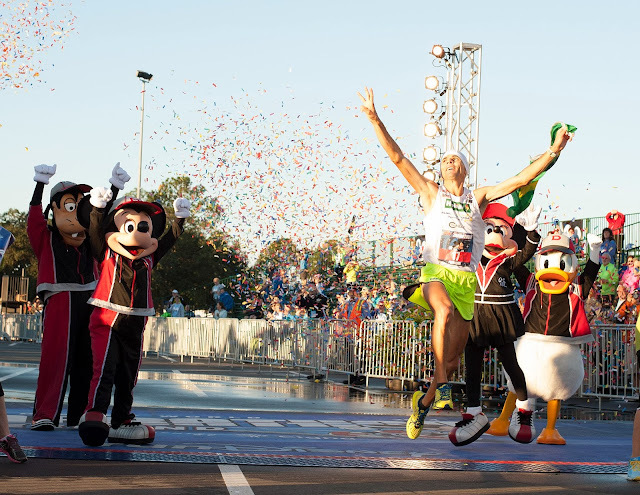 The friendly rivalry between Brazilian runners Fredison Costa and Adriano Bastos took another dramatic twist Sunday when Costa upstaged the defending champion Bastos to win the Walt Disney World Marathon presented by Cigna. After relinquishing the Disney Marathon title to Bastos last year, Costa reclaimed the crown, his third in the past four years and the 10th straight for Brazilian runners who said they worked together Sunday to help Costa win. Bastos, who had won eight previous Disney Marathons, said he injured his left leg during an October race which slowed his training, leaving him unable to seriously challenge Costa this time. Costa, 36, sprinted the 26.2 miles through the four Disney theme parks, the Disney Speedway and the ESPN Wide World of Sports Complex in 2:21:39. Bastos, 35, was second at 2:22:55 and Alfredo Arevalo of Guatemala was third at 2:23:19. Angela Brito of Ecuador came to Disney World for the first time to win the women’s division and easily checked that off her bucket list. She crossed the line in 2:47:44, nearly seven minutes ahead of second-place finisher Brittney Christianson of Minot, ND. Julie Northrup of Jacksonville was third at 2:59:08. In the men’s Masters division, Ronnie Holassie of Miramar, Fla., won for the second straight year (2:36:54) and Bo Franz took the women’s Masters crown with a time of 3:11:26. In the wheelchair division, Krige Schabort of Cedartown, Ga., repeated as the men’s champion (1:51:51) as did Jacqui Kapinowski of Tequesta, Fla., in the women’s division (2:42:04). In all, more than 26,000 runners competed in the Disney Marathon presented by Cigna on Sunday. Roughly 7,000 of those runners ran in all four weekend events – the 5K, the 10K, the half marathon and the marathon, completing the new and hugely popular “Dopey Challenge” (48.6 miles). The Walt Disney World Marathon Weekend presented by Cigna kicked off the 2014 runDisney series, which includes seven weekend events at Walt Disney World and Disneyland. 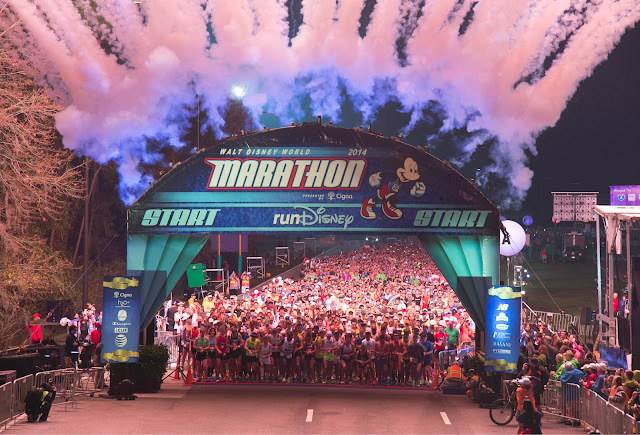 The Disney Marathon featured events for the entire family such as runDisney Kids’ Races, the Family Fun Run 5K on Thursday, the Walt Disney World 10K on Friday, the Half Marathon on Saturday and the Marathon on Sunday. A Health and Fitness Expo ran throughout the weekend at ESPN Wide World of Sports Complex and featured the latest in running technology and fashion, as well as renowned running experts such as Jeff Galloway, the official training consultant for runDisney, and Tara Gidus, the official runDisney nutritionist. runDisney is a series of events providing runners unique opportunities to run various distances through Disney theme parks. 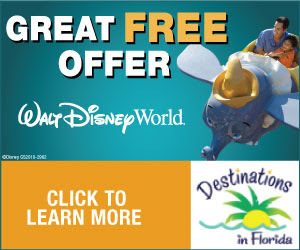 Race participants earn Disney-themed medals, experience legendary Disney entertainment and guest service and ultimately celebrate their accomplishments with a Disney vacation. The original event in the series, the Walt Disney World Marathon Weekend presented by Cigna, takes place in January followed by the Disney Princess Half Marathon Weekend in February, Expedition Everest Challenge in May, The Twilight Zone Tower of Terror 10-Miler in September and the Disney Wine & Dine Half Marathon Weekend in November. Disneyland hosts the Tinker Bell Half Marathon Weekend in January and the Disneyland Half Marathon in September during Labor Day Weekend. More than 163,900 running enthusiasts participate in runDisney events each year. For more information, visit runDisney.com and follow us on Facebook (runDisney) and Twitter @runDisney.